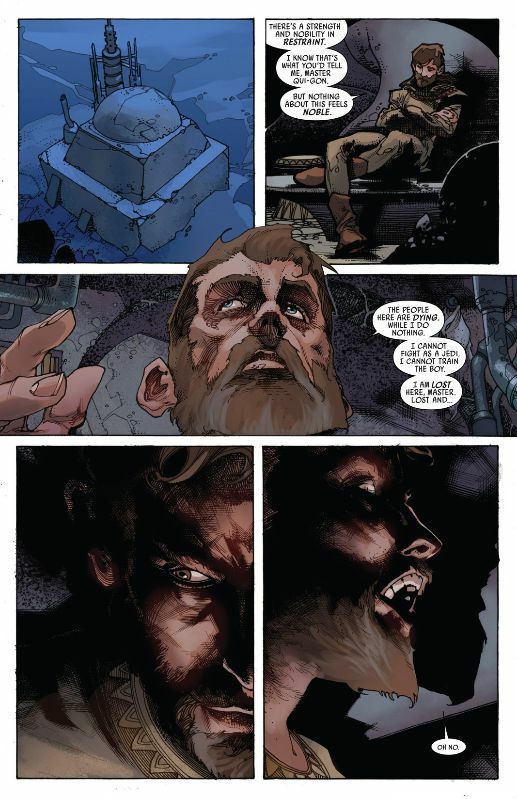 Damn it, Jason Aaron. Damn it, damn it, damn it. Let’s go to Han, Leia and Sana first. The big revelation from issue #6 is followed up with what basically amounts to a teenage boy being confronted by his ex while he’s with his new girlfriend. Han says a lot of the clumsy dialogue you’d expect from such a scene. And blah, blah, blah. We don’t learn much about Sana’s origins, here. Or how she came to be “married” to Han. She essentially comes off like a crazy scorned lover who’s out to o away with Leia and take Han back for herself. This motivation is fine. But what’s frustrating is that we learn so little about who this person is. She’s apparently a bounty hunter, and she allegedly has documents to back up her marriage claims. 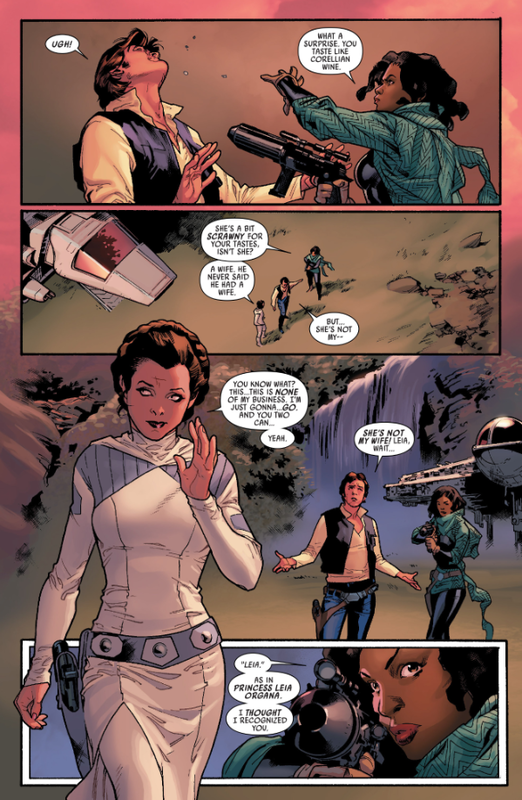 But we don’t get any hints about her history with Han. How they met, where she wants to take him back to, etc. We don’t need the whole story, obviously. But give us something to hold us over until we do get more definitive answers. 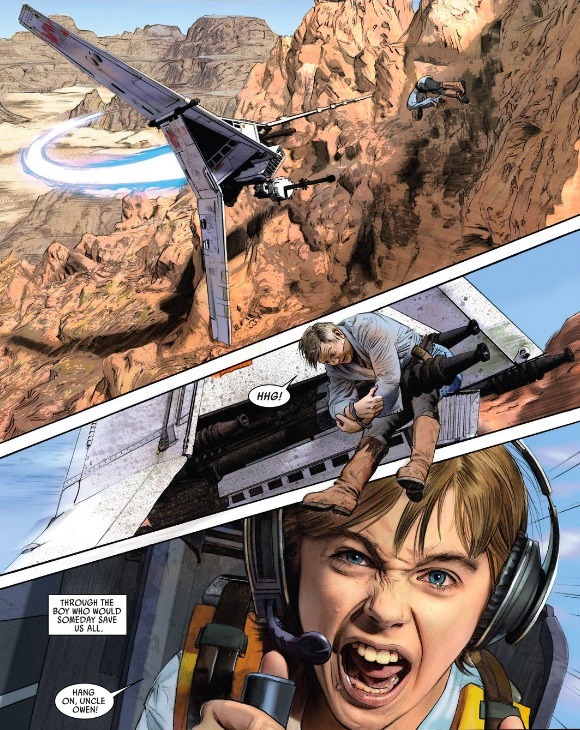 When we jump to Luke, he’s in his X-Wing with Artoo, which is where we left him at the end of issue #8. 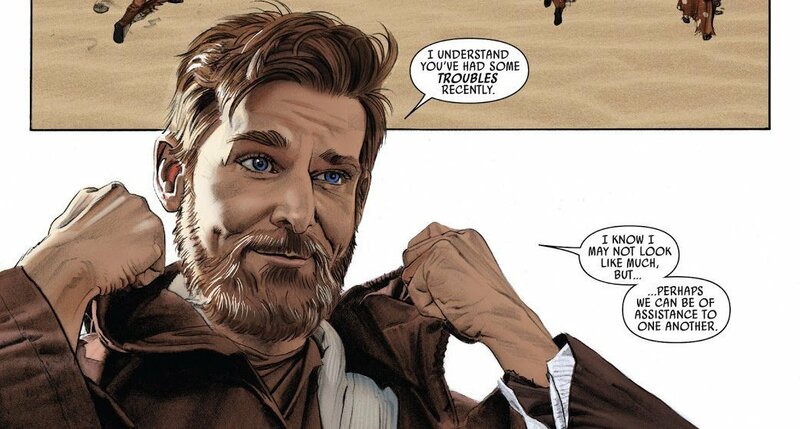 The vibe I got from that final page was that Obi-Wan’s journal gave him sort of a warm, fuzzy feeling about his mentor. But when we see him in this book, he’s almost whining about how the journal only contains stories, and nothing about “fighting with a lightsaber or using the force.” So at what point did he go from warm to whiny? Luke lands on Nar Shaddaa, a.k.a. “The Smuggler’s Moon,” in hopes of gaining transport to…well, I won’t spoil it. But it’s somewhere rich in Jedi history. So he walks into what he describes as the worst-looking bar around, totally outmatched. 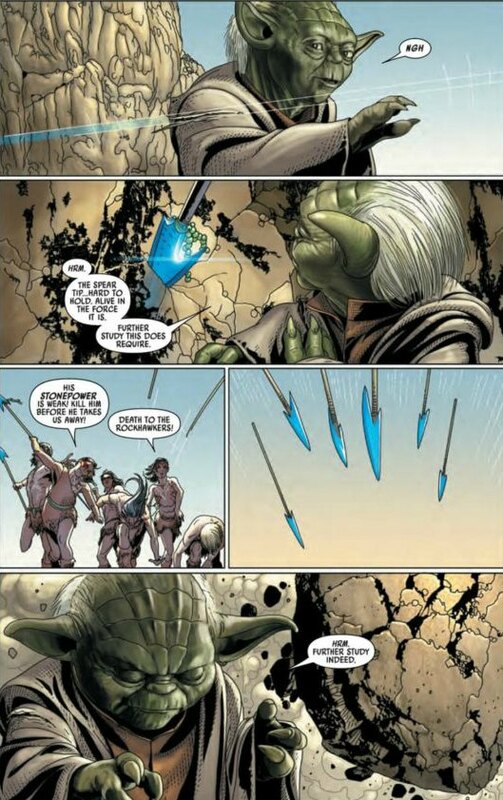 He winds up breaking out the lightsaber, which only serves to draw more unwanted attention. All in all, Luke comes off looking downright stupid, and in WAY over his head. 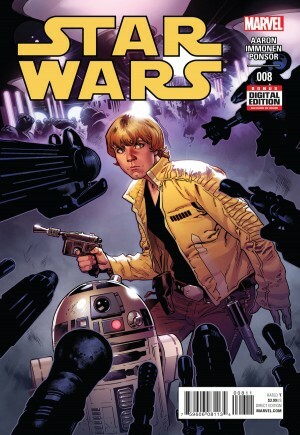 This book has been good about showing how young and inexperienced Luke is at this point in his life. We’ve seen him foolishly try to take on Darth Vader, blindly swing a lightsaber at Boba Fett (though that was pretty cool), and now this. Aaron needs to find the line between inexperienced and just plain stupid. 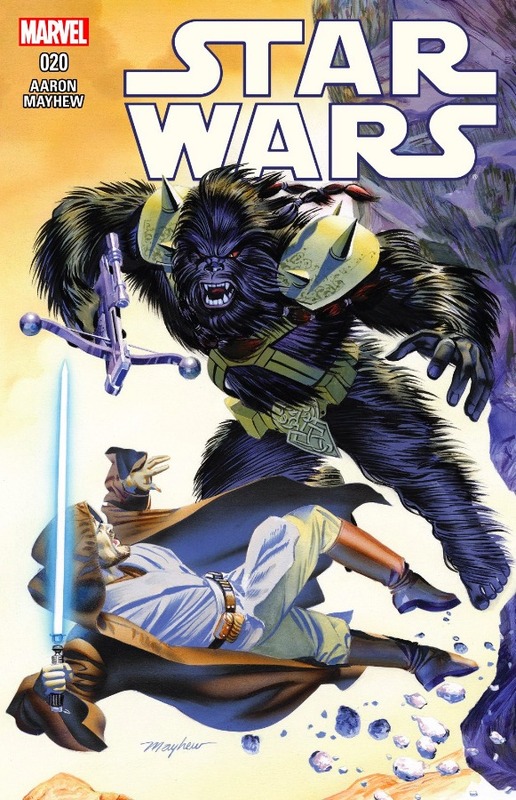 After all, this guy is the main hero of the original trilogy. 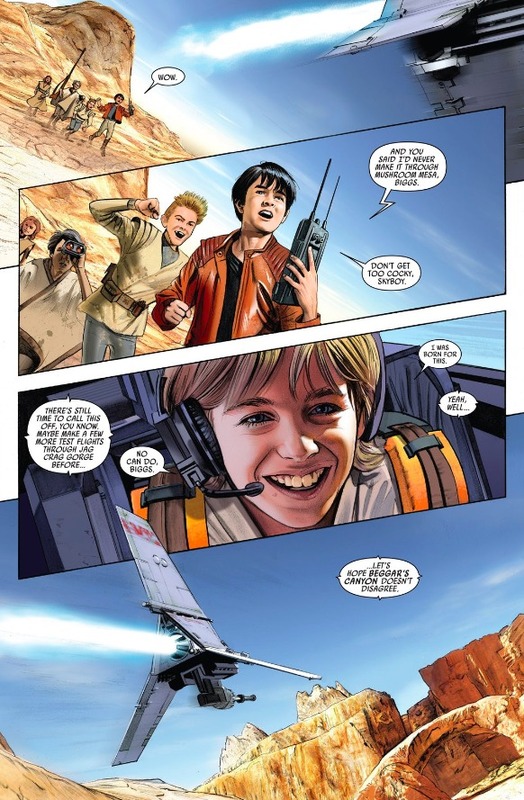 Even at a young age, Luke is at least competent, isn’t he? He had it together during the Battle of Yavin, as I recall. 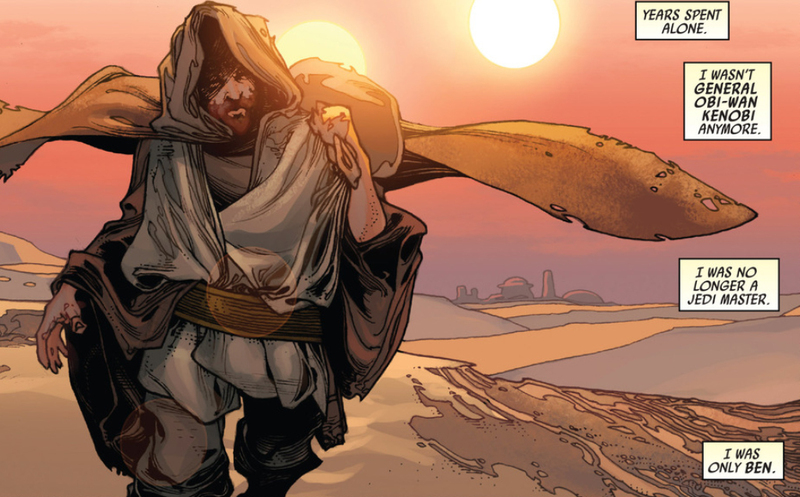 This is Stuart Immonen’s first outing on Star Wars, and not surprisingly, he does fine. 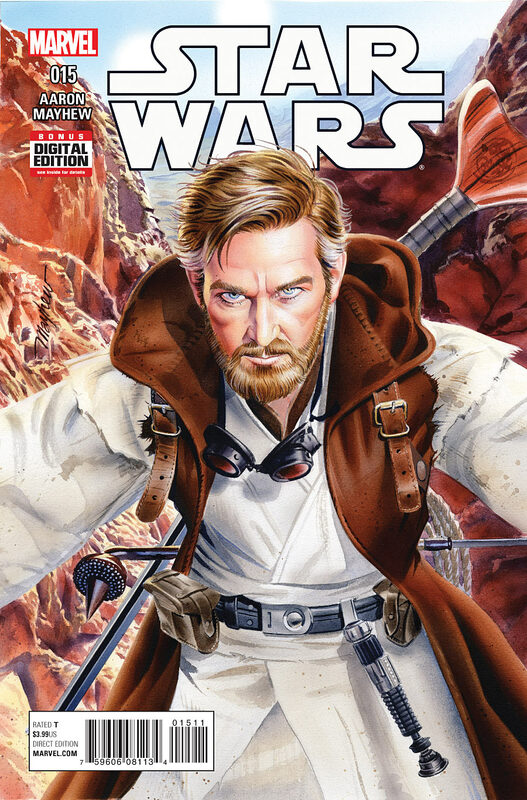 His more animated style takes some getting used to after six issues with John Cassaday, and last issue’s outing with Simone Bianchi. 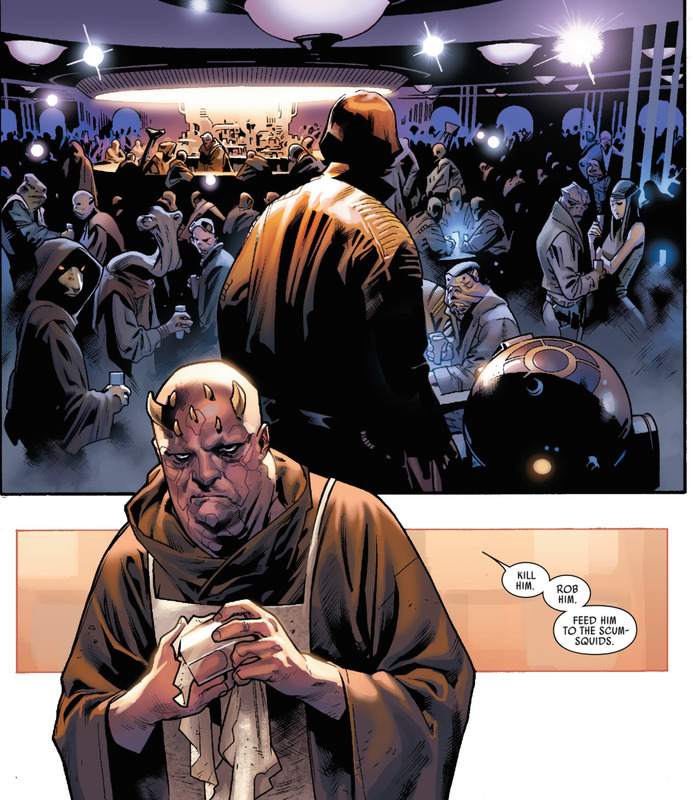 The best work he does with inker Wade Von Grawbadger and colorist Justin Ponsor occur when Luke breaks out the lightsaber in the bar, and we see the bar’s shadowy atmosphere contrast with the brightness of the blade. He’ll likely get even better once he’s had time to get used to this universe. 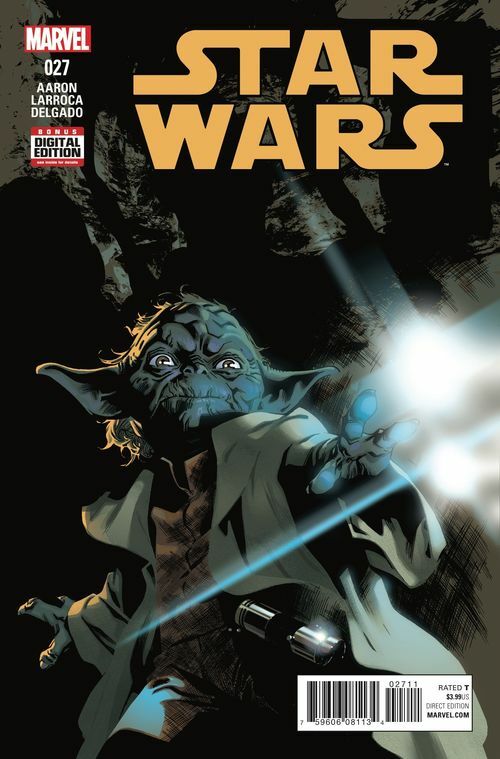 Compared to what Kieron Gillen and Salvador Larroca are turning in on Darth Vader, Star Wars continues to be the inferior book in terms of both consistency and quality. But it’s still worth picking up. 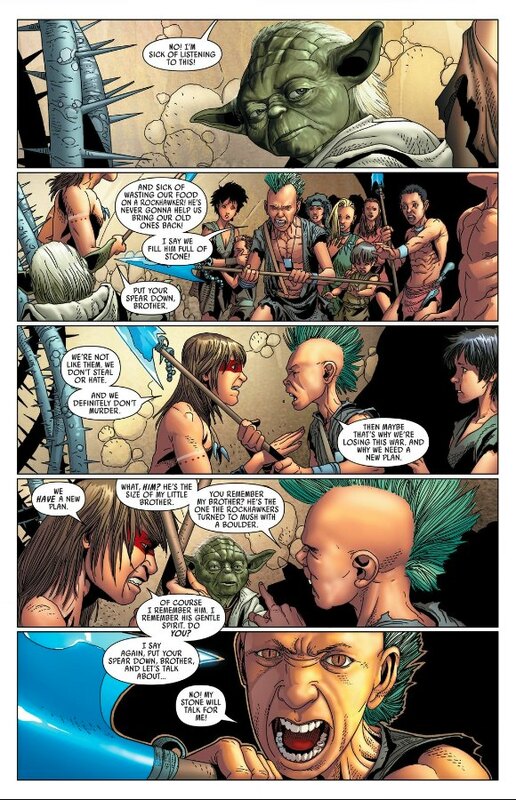 Jason Aaron continues to get a lot wrong. But there’s also quite a bit he gets right. 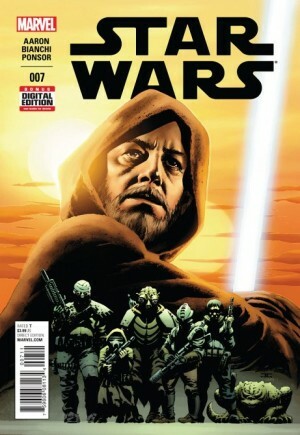 Image 1 from dorksideoftheforce.com. 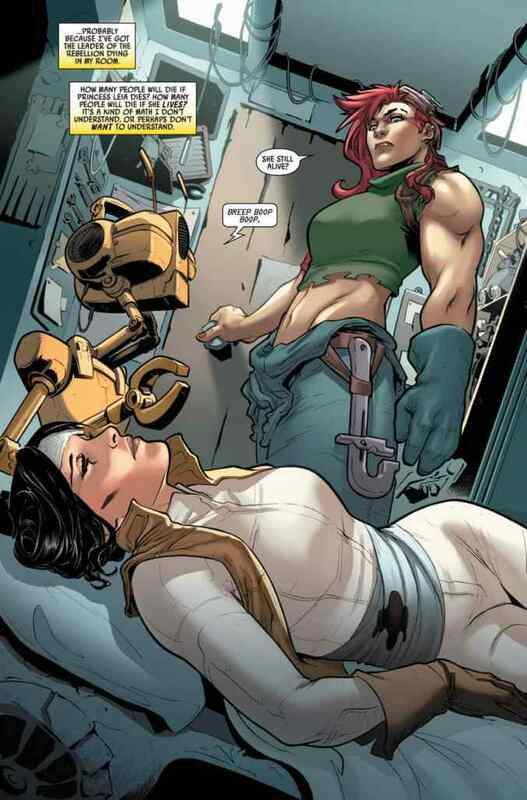 Image 2 from marvel.com. 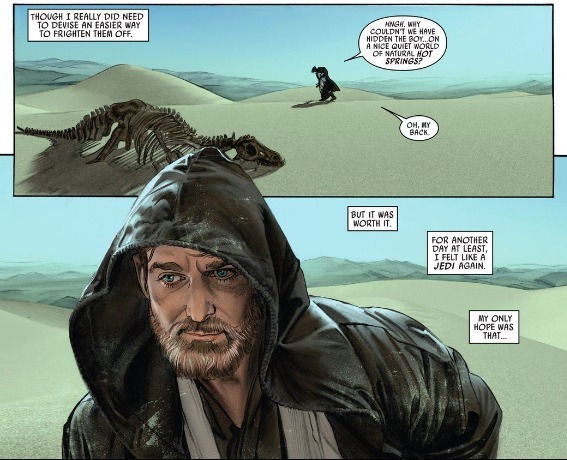 This entry was posted in Comic Books/Graphic Novels and tagged comic book reviews, Han Solo, Jason Aaron, Justin Ponsor, lightsaber, Luke Skywalker, Marvel, Nar Shaddaa, Obi-Wan Kenobi, Princess Leia, Sana Solo, single issue reviews, Star Wars, Star Wars #8 (2015), Star Wars #8 review, Star Wars (Marvel Series), Star Wars comics, Star Wars original trilogy, Stuart Immonen, Wade Von Grawbadger on 08/25/2015 by primaryignition.